At the Parker Wood, Guys Dashing Jet won 2nd in the first go, 3rd in the second go, Reserve Champion in the average, and she also won the Slot Race! Banking another $21,000.00+!!! 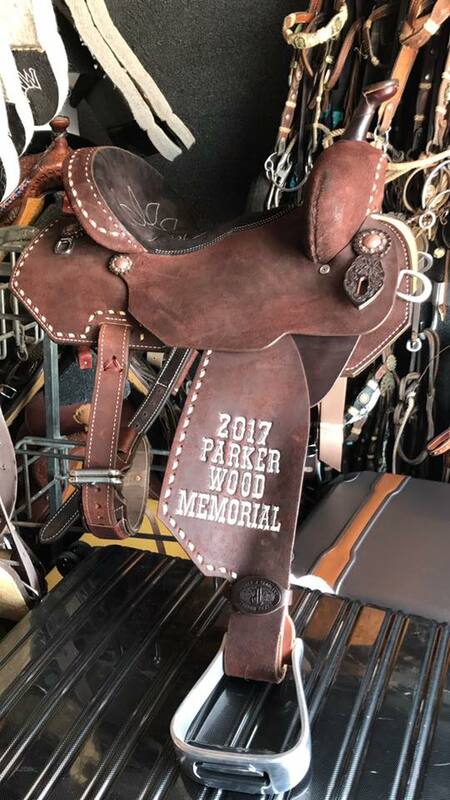 Guys Dashing Jet "Stella" banked a total of $31,000.00, 2 trophy saddles, trophy buckle, trophy spurs, trophy coats, and a breeding to #FirstMoonflash! Her two week total money and prizes valued at nearly $60,000.00!!! Just not too long ago I had made a personal goal for her, for her to win $100k this year and she's already accomplished it! (money only) Making her my #1 money earning Futurity horse of my career! She has been to 8 futurities... Has been Champion at 2, Reserve Champion at 3, won a slot race, 3rd at a slot race, and has won 4 go arounds! She is also the Ft. Worth stock show Jr. Barrel Champion! Thank you Cathy, you have bred, raised, trained, and together we created a SUPERSTAR!!! Im very fortunate to ride such an amazing athlete as her and cherish every moment of it! She's my girl now too!